Happy 2017, Folks! I wish you all a blissful year, filled with happy thoughts, good deeds and lots of cool movie reviews. 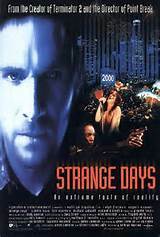 I’ll start my year with another GG, CyberPunk review of Strange Days (1995). Cheers to ya’ll! Cool movie, cool casting, cool setting, cool story, COOL! 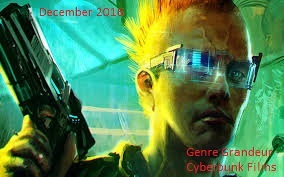 First, welcome to MovieRob’s and Becky of Film Music Central’s Cyberpunk December GG. Sorry I haven’t been on a lot. Will change that as I adore your blog. My blog is open all the time. I remember way back in like 96 or 97 someone describing Strange Days as “the best movie of the year that nobody saw”. I’ve wanted to see it since then but somehow have never gotten around to it. Thanks for the reminder. tnx again for taking part reut!